Love the sound of AKG K240M's but can't get enough VOLUME out of them? 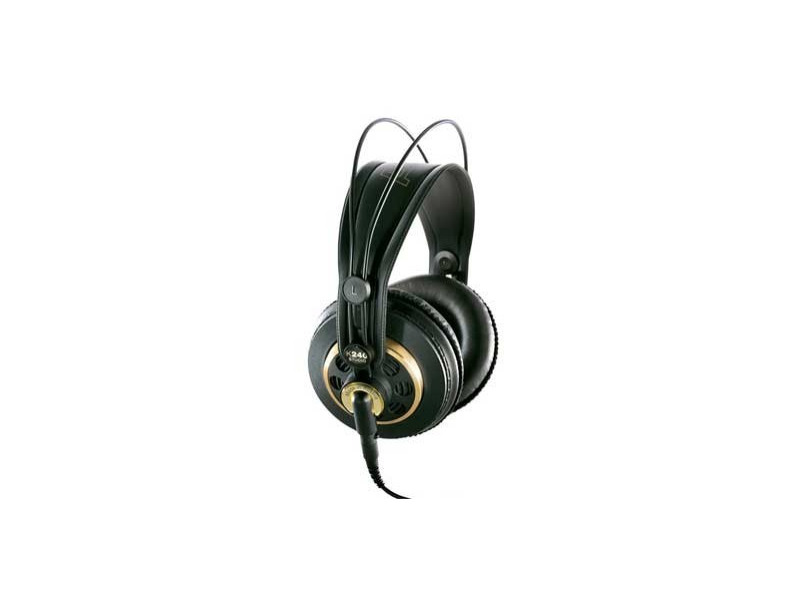 Then the K-240 STUDIO headphones are what you are looking for! The K-240 Studio headphones have an impedance that is matched to todays studio in a box products, as well as inexpensive headphone amplifiers, compact mixers, and keyboard products. Prepare to get your head blown off with great sound, and TONS of volume. I bought the AKG K 240 headphones to replace some Sony MDR-V600s. Paid $83 plus tax on amazon.com. The Sonys were getting old, and I was never entirely happy with their accuracy. Most of my headphone use is evaluating and editing a cappella vocal recordings. My first reaction to the K240s out of the box was that they seemed dead, without the life of the Sonys. But after doing a bunch of A/B comparisons, I realized that the K240s are just way more accurate. I had gotten used to the high frequency distortion of the Sonys and imagined that to be exciting. But it was really just distortion. I'm already getting used to the pristine, clean sound from the K240s. For my critical listening to recorded vocal tracks, they will be much better in helping me produce better recording products. If you're buying headphones to get cranked up listening to loud music, these are likely not the best choice. But if you want accurate sound for studio work, the K240s are a great value. These headphones sound great! The open back design makes them sound like near field monitor speakers. They don't get very loud, which is actually a great thing because it forces me to listen closely rather than crank the volume, which is consistent with the advice I've gotten from industry professionals. The big drawback is the friggin' cable that attaches to them. It broke after about 3 months of use. WTF! AKG wouldn't honor their warranty and just replace it so ethically I can't purchase another AKG product but damn these sound good. I guess that's why everyone tolerates this glaring design flaw. If you buy a pair just disconnect the cord EVERY time you put them away or it will break. I know you're thinking " No way these were expensive. Surely AKG made a durable product." Not so. It's almost like their technicians know all about the electronic world of sound but nothing of physical reality. I recently got a replacement cord after storing my broken headphones for a couple of years. They still sound great although I notice much more wear on the ear pads than on my Sony headphones that I've used much more than the AKGs. If your ears are made of cotton and you have enough time to treat your equipment like a princess then these headphones are perfect. If you want a reliable durable pair of headphones, look elsewhere. Here sounds in the background some good, some BAD! But it is on the original tape! At times I think they seem just a little muddy,But these are 53Yr old ears! Use these for mixing and casual listening. Studio standard for ever. The "S" are just imedence friendly. Not for everyone These are STUDIO phones kids! Not those ear buds which I would use for a nose bleed! There are no strengths. They don't work. Faulty proprietary design breaks quickly even when using extreme care, with no option for repair. Worst $99 I ever spent. I use Sony and other brands--anything but AKG.